Google started offering satellite imagery a few years back with the launch of Google Earth. 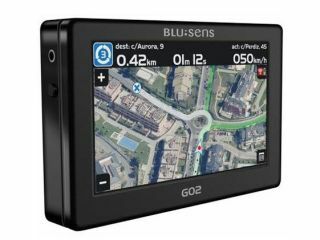 Now it's the turn of GPS units to feature satellite images: Spanish firm Blusens has added satellite imagery to its latest portable satelite navigation devices (PNDs). The Blusens G01 and the Blusens G02 both feature maps integrated with Google's satellite images, which are overlaid with GPS route information. The Blusens G01 has a 4.3-inch touchscreen, 30GB hard disk drive and SD/MMC card support. It will go on sale in Europe next month, priced around £345. The similar Blusens G02 has a 40GB hard drive and Bluetooth 2.0, and will go on sale early next year.